Havas Media India has bagged the integrated media duties of Bajaj Allianz Life Insurance. The agency also handles media duties of Bajaj Finserv, the financing arm of Bajaj Group. The account size is estimated to be upwards of Rs 50 crores and will be handled from the Mumbai office led by Kunal Jamuar, Managing Partner, West and South, Havas Media India. “At play will be Havas Media Group's integrated media skills centered on digital and our 'Meaningful Brands' framework which will together map the brand chart for Bajaj Allianz. According to our research, brands that are meaningful enjoy 80% higher intent of repurchase in the insurance industry. 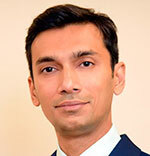 We look forward to a successful collaboration.”, added Mohit Joshi, Managing Director, Havas Media Group, India. Led by Tarun Chugh (MD and CEO), Bajaj Allianz Life Insurance began operations in 2001 and today has a pan-India presence of 759 branches. It is headquartered in Pune, India. Bajaj Allianz Life Insurance is a joint venture between Bajaj Finserv Limited (formerly part of Bajaj Auto Limited) owned by the Bajaj Group of India and Allianz SE, a European financial services company. Bajaj Allianz Life Insurance also launched digital branches through Mosambee, a handheld device that offers the services of a mobile branch and assists customers with an entire range of customer services.